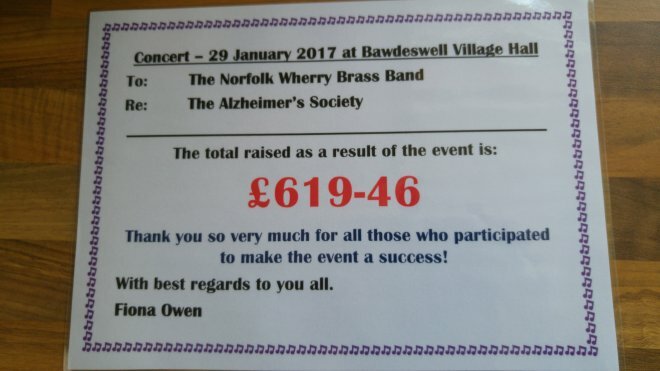 We were asked at short notice to play at this Charity event in Bawdeswell Village Hall to raise money for the Alzheimer.s Society. 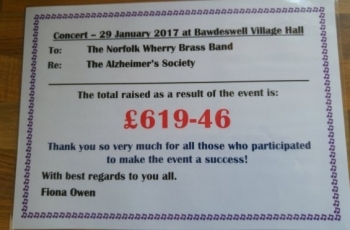 We joined bell ringers, a childrens dance group and a choir in an enjoyable afternoon and as you can see helped raise a lot of money. Ian Clarke conducted the band.